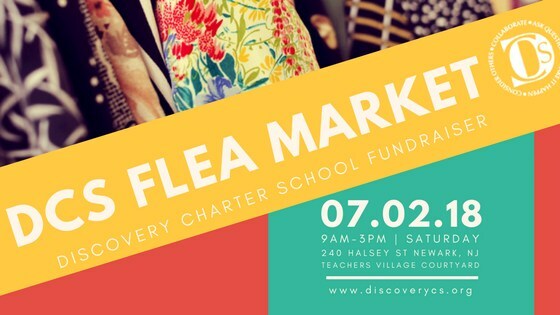 Discovery Charter School will host an outdoor Flea Market on Saturday, June 2 from 9 a.m. to 3 p.m. in Teacher Village Courtyard to help raise money for the 8th Grade trip to Washington, DC. Join us for this popular community event! Rent a space in Teachers Village courtyard for $35 and sell whatever you want. Donation drop off and vendor setup takes place April 24 from 7 a.m. to 9 a.m. The flea market runs from 9 a.m. to 3 p.m. You are responsible for bringing your own tables or displays and removing any unsold items. This event is ideal for crafters, upcyclers, getting a few bucks for the trash you were going to haul to container day, or having a yard sale with the camaraderie of neighbors — the ideas are endless. To volunteer or rent a space, email mhanson@discoverycs.org.